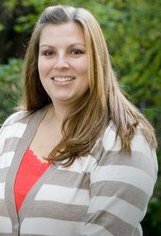 Kristie decided to pursue a Master of Science in Product Stewardship degree to gain more in-depth knowledge of regulatory agencies. As a product stewardship specialist at The Dow Chemical Company, Kristie manages safety, health, and environmental information on products. I ensure the right steps are taken to protect employee health, public health, and the environment. "This is done through focusing on compliance, managing potential risks, and ensuring our products are used safely across many different applications throughout the value chain," she said. While she is eager for additional training in the growing industry of product stewardship, Kristie hopes to also help her company identify where it stands with product stewardship philosophies compared to the industry. She plans to then use that information to help her company identify better opportunities for alignment. One of Kristie's goals within the MSPS program is to build a network of leaders in this industry and she has already started to make connections. "I'm making a lot of contacts with students in the field, teachers, and even guest speakers," Kristie said. If you would like to receive additional information about the program and how it can help you reach your personal and professional goals, contact Lauren Teme, our Product Stewardship Program Coordinator.